Vodafone Introduced new mobile hotspots this year from the manufacturer Huawei and ZTE. Vodafone customized its brand to them and put them in its product range. 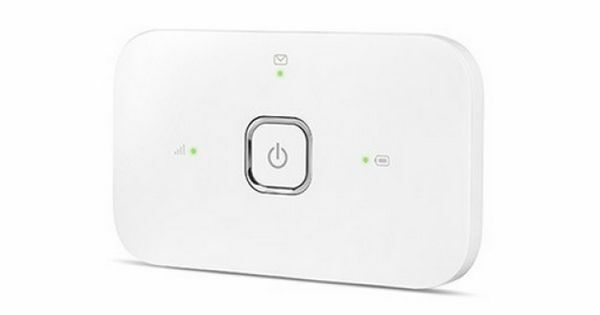 As we introduced before, Vodafone R226 is a high-end LTE Pocket WiFi Router, now Vodafone Group introduced two new mid-price range MiFi hotspot Vodafone R216 (manufacturer by Huawei) and Vodafone R216-Z (manufacturer by ZTE). Both of them can support LTE Cat4 with up to 150Mbit/s in the downlink and have a powerful module with 2.4GHz and 5GHz. 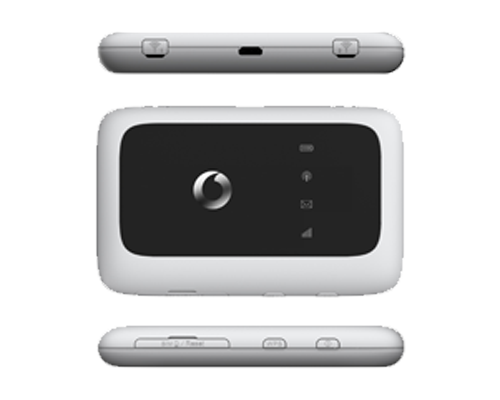 Vodafone R216 is the successor of the Vodafone R215 mobile WiFi. They are both made by Huawei. There are three LEDs on the front of R216. The battery, message and network status can be shown on the LEDs. If user wantS to know more information, the Vodafone Mobile WiFi App (for smartphone and tablet) may help. User can also log in the web interface in browser to check more details. The Vodafone R216 is available for black and white color with replaceable battery for capacity of 1500mAh, which can continue working for 6 to 8 hours. The R216 could support almost all the mainstream LTE frequency bands (800/850/900/1800/2600 MHz) in Europe. The chipset in Vodafone R216 comes from Huawei HiSilicon Balong 711. It can support the maximum download speed to 150mbps based on the LTE category 4 technologies. In addition, the DC-HSPA+ and GSM/EDGE network could also be backward supported. On the DC-HSPA+ download speed to 42.2Mbps and upload speed to 5.76Mbps. Vodafoe R216-Z is manufactured by ZTE, so it’s also called ZTE R216-z. The R216-Z is better than Huawei R216 because R216-Z has a battery of 2300mAh capacity, which is slightly stronger and there is a wireless repeater function. The R216-Z supports the same frequencies and radio technologies as Huawei R216, but the chipset comes from Qualcomm MDM9225, not Hisilicon modem. Vodafone R216 and R216-Z both look cool, but it seems Vodafone R216-Z is better than R216-Z. We will introduce more details when we get the sample and test them. We suppose users may get some tips from our test.